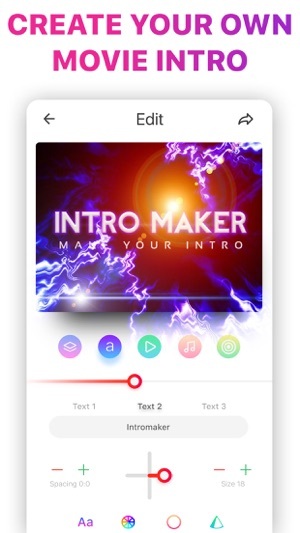 Create impressive intros, inserts, announcements and film credits for any movie project, right from your iPhone! 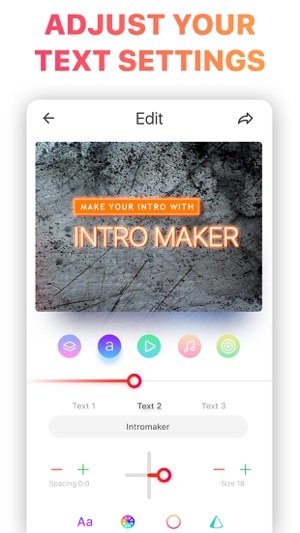 Intro includes a stunning library of customizable templates to make you a movie director in minutes! 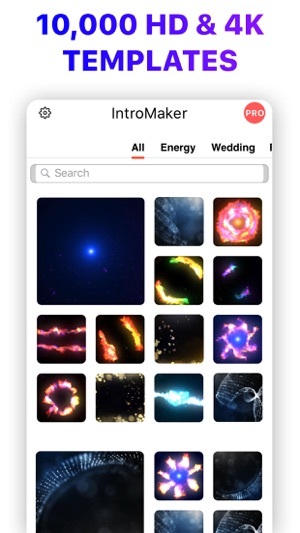 Save your intro to the Camera Roll in just a few taps! Okay, the app itself isn’t too bad. 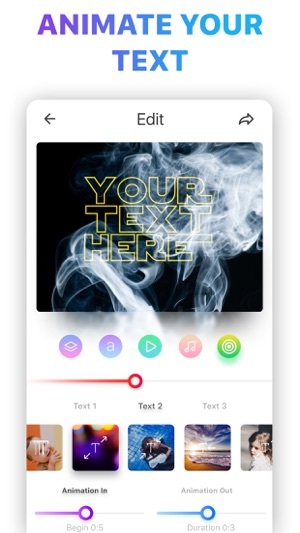 It’s fairly useful and has a lot of different templates to choose from, and a lot of editing features. 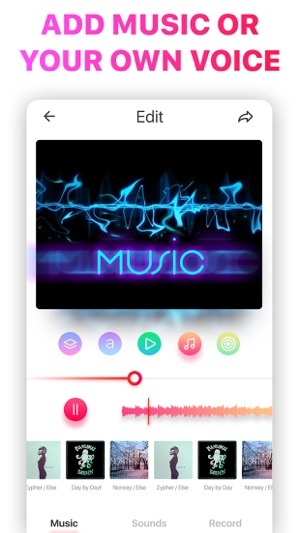 It’s fairly versatile, allowing you to use your music or their (although minuscule) diverse library. And you’re allowed to import your own photos and videos. But, what drags this app down DRAMATICALLY is it’s subscription fee of $36/year. That’s WAY too much money for a mediocre app like this, and it really forced the free trial on you so hard you wanna throw your phone AFTER you get the trial. I swear, I’d rather pay for Kinemaster than this, and it’s literally not that cheap. $10/month seems SOOOOOO much better with Kinemaster rather than $5/month or $36/year. And don’t let the “Free” app thing fool you, this PUSHES the trial onto you as they hope you’ll stick around and pay them for it. There’s apps worth much more than this that are way cheaper. Don’t download this app, they’ll rob you blind if you let them. Awful! Never recommended until this stops. INDICATIVE OF THE MASS FRAUD FLOODING APPLE APP STORE! Finding an app that even meets half of it’s developer’s claims is almost the best that you can hope for these days. I don’t think that it’s coincidental that the App Store became flooded with apps that the consumer couldn’t “test” w/o SUBSCRIBING at the same time that Apple changed it’s policy w/developers’. Any profits resulting from a “one-time” purchase is split 30%-70% (30% going to Apple). However, profits derived from “subscriptions” are split 15%-85% (15% going to Apple). Like everything else affiliated with Apple, Inc., their sole focus is increasing profits, no matter how it’s obtained. Apple’s duplicity is well known around the world and that’s why they’re being sued globally. The E.U. stepped, sued Apple and brought tangible relief to its’ citizens. Now, Apple must refund ANY purchase made from the App Store (within 14 days of purchase) with no questions asked. The US needs to protect its’ consumers as well as Apple is out of control.